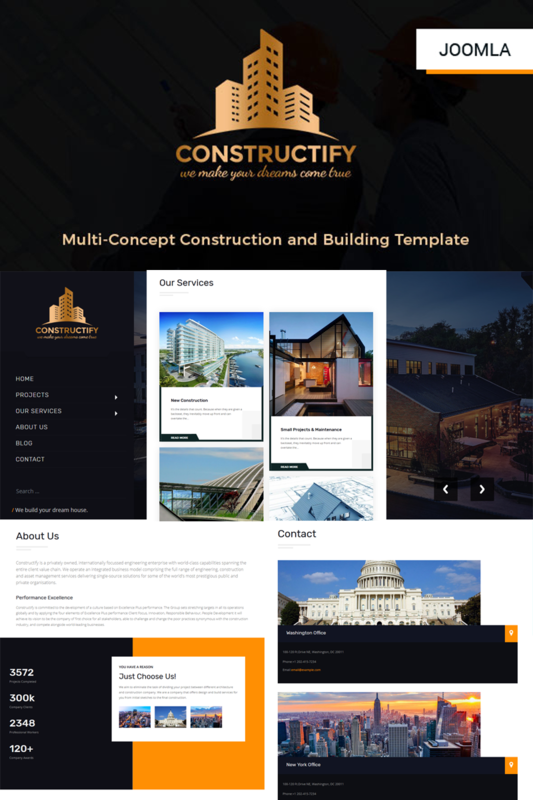 Constructify is built for Building Services, Architecture, Engineering, Cleaning Service and other Construction related services and it is suitable for any kind of small business activity - Maid, Maintenance, Painting and Decorating, Refurbishment, Partitions & Ceilings, Plastering & Rendering, Carpentry & Joinery, Built in - Furniture, Flooring, Plumbing and others. It has purpose oriented design and comes with Opening Hours, Free Consultation, Project, Project Single, Service, Service Single, Blog, Blog Single and other pages. Constructify is made on Helix Ultimate, Sp Page Builder Pro version (included as free with our theme), Layer Slider (included as free with our theme) and responsive menu vertical gruemenu. - Images are not included.